Avalanche Studios, the studio behind Just Cause and Mad Max, has announced their new, self-published IP. Generation Zero is a multiplayer co-op game set in a post-apocalyptic version of Sweden in the late 1980s, in which hostile machines have taken over. It’s all very techno-Stranger Things. Avalanche revealed the new project in a trailer (which you can watch below) earlier today. It shows an abandoned open world, occupied by a handful of survivors making their way quietly through the Swedish countryside before making contact with a squad of machines. With E3 just around the corner, now might be a good time to take a new look at our list of upcoming PC games. Things get pretty chaotic, pretty quickly. Thanks to you and your friends (and a bunch of rifles), you’ll be able to lure enemy units towards you before crippling and destroying them in a variety of different ways. If you fancy more of a challenge, you can take on the enormous robots alone, but Generation Zero also supports four-player multiplayer. 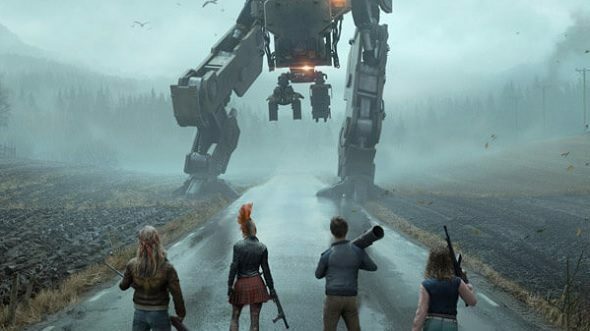 Talking about Generation Zero in the PCGN office has quickly brought us to the description “open world Left for Dead with robots,” and I think that’s not far from what we’ll end up with. The twist on that is that enemies will continue to wander the landscape if you don’t destroy them, but they’ll continue to bear the scars of your encounters until then. You can check out the first trailer for Generation Zero below. As well as a look at the game’s open world, and a listen to its dynamic 80s soundtrack. There’s also, of course, plenty of robot action, featuring a final shot closing in on a mechanical behemoth. Generation Zero will be coming to PC, PlayStation 4, and Xbox One in 2019. A tweet from Avalanche Studio founder Christian Sundberg stated that the game would be revealed today, and heavily implies we’ll see more at E3 next week.